This book tells the history of the many analogies that have been made between the evolution of organisms and the human production of artefacts, especially buildings. 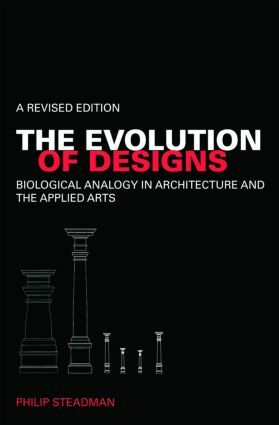 It examines the effects of these analogies on architectural and design theory and considers how recent biological thinking has relevance for design. Architects and designers have looked to biology for inspiration since the early 19th century. They have sought not just to imitate the forms of plants and animals, but to find methods in design analogous to the processes of growth and evolution in nature. This new revised edition of this classic work adds an extended Afterword covering recent developments such as the introduction of computer methods in design in the 1980s and ‘90s, which have made possible a new kind of ‘biomorphic’ architecture through ‘genetic algorithms’ and other programming techniques. How to speed up craft evolution?